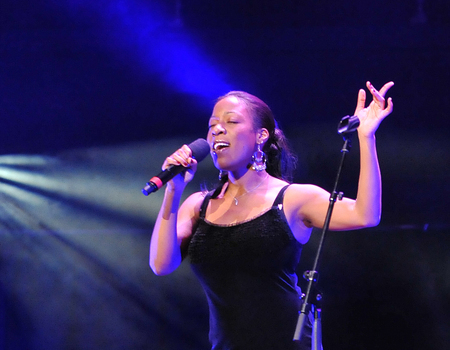 As the first and only British winner of the 2016 Sarah Vaughan International Jazz Vocal Competition, Deelee Dubé is one of today's foremost gifted vocalists to have emerged from the London scene in many years. Embodying a stellar African musical lineage, the eclectic tastes of a London upbringing and a deep love and respect for the jazz tradition, Deelee possesses what Jazz Times called "a warm tone, genuine blues feeling and easy rhythmic authority." A songwriter as well as a singer, Deelee has had her work reach the semi-finals of the UK Songwriting (UKSC) Contest. Deelee is also a poet, and her work has been published in Write & Shine (Poetry Now Young Writers Book, 1995) and The Book of Dreams (United Press, 2010).